The Deputy Minister designate for one of the newly created regions, Ahafo region of Ghana, Hon. Benjamin Yeboah Sekyere has urged parents to study their wards during their developing stages to know if they are slow learners or not. The Minister-designate encouraged parents to engage good counsellors and child psychologists to handle the intelligent quota their children. Hon. 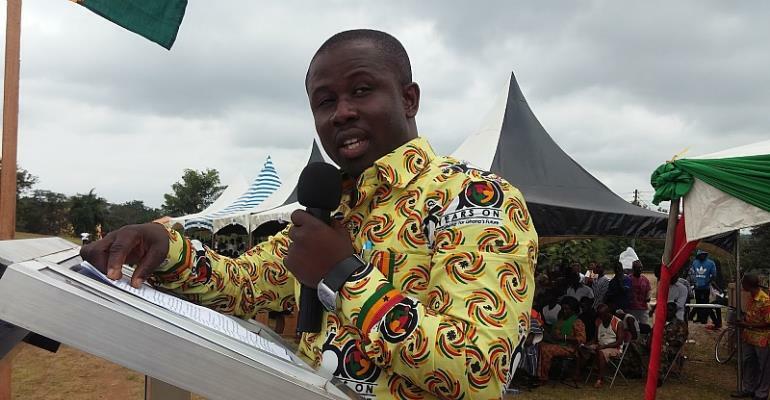 Yeboah Sekyere indicated these when he came before the Appointments Committee of Parliament (ACP) for vetting and has also said that "I decided to be the voice for Persons with Disabilities". The Deputy Minister-designate upon responding to answers from the (ACP) regarding what the natives of Bechem should expect from him as a minister, he said he has plans of beefing up the educational status in Bechem and it's environing to regain the educational status it used to have. "Bechem would get as much as they deserve, the minister-designate said". "I would seek the assistance of counsellors to educate the youth especially the girl child in capacity building, create an Avenue for sensitization of the youth on educational programs". "If I'm given the nod as Deputy Minister, I would work hand-in-hand with my minister use the appropriate channels to help the right offices to solve the chieftaincy issues in the region" Hon. Yeboah indicated. Hon. Yeboah Sekyere answering one of the questions from the ACP on waste management said although we generate many tones of waste, we lack how to mange these waste, Ghana therefore need to improve on the final disposal and the treatment of waste properly. "Government properties must be valued; "we have the potential of the funds, we raise in the MMDCs, MDCs and District," he said. Hon. Yebaoh Sekyere outlined two things that lead to the "none payment" of property rates as attributes to political expediency and lack of evaluation of the properties.